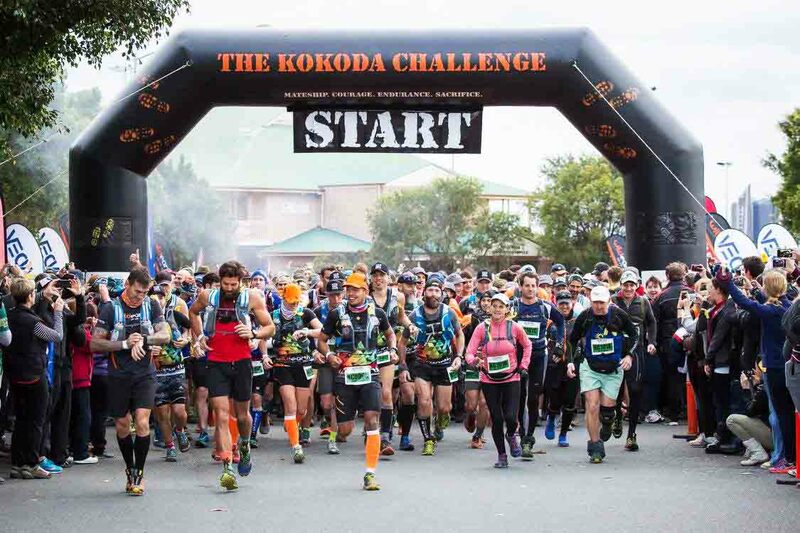 Delays following the start line of the 2018 Gold Coast Kokoda Challenge will be water under the bridge this year, thanks to a partnership between the Kokoda Challenge, construction company Multiplex and Cogent Scaffolding. Multiplex Project Coordinator Greg Bowers said a temporary bridge would resolve the pinch point shortly after the start of the Kokoda Challenge. “Following consultation with event organisers, we will be installing a scaffolding pedestrian bridge to facilitate movement across the Bonogin Creek at Mudgeeraba, which previously created a bottleneck for the large number of participants moving slowly mostly single file underneath the pipe at the first creek crossing,” Mr Bowers said. Kokoda Youth Foundation CEO Matt Helmers said the Kokoda team were extremely appreciative of the support from Multiplex and Cogent. “It takes great courage, endurance, mateship and sacrifice for our participants to rise to the challenge of the toughest team endurance event in Australia and part of our responsibility is to help them achieve their personal best," Mr Helmers said. The Kokoda Challenge will be held in the Gold Coast Hinterland on 20 - 21 July.